Technically speaking, the Cotswolds stretch from just south of Stratford-upon-Avon to slightly south of Bath: which means that the best things to do in Cotswolds encompass a pretty solid area. The boundaries of counties including Gloucestershire, Oxfordshire, Wiltshire, Somerset, Worcestershire and Warwickshire are covered. Characterized by cute small towns and villages built from Cotswold stone, the region is (unsurprisingly) designated an Area of Outstanding Natural Beauty. 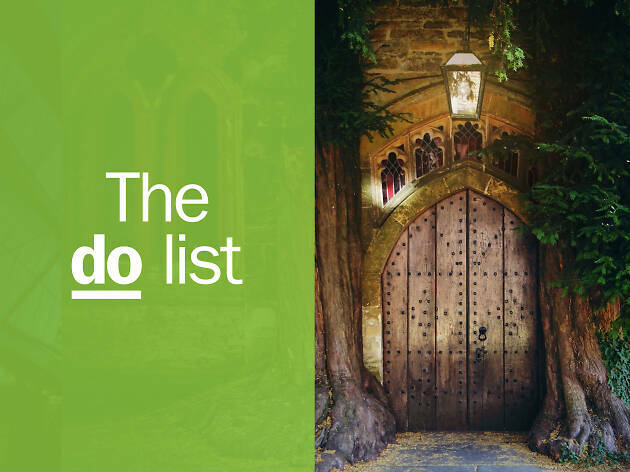 Chocolate box cottages, miniature canals, cheap hotels, rolling hills and an exceptionally high standard of produce—if you’re not sold already, read on, as we’ve rounded up the very best things to do in the Cotswolds. What is it? 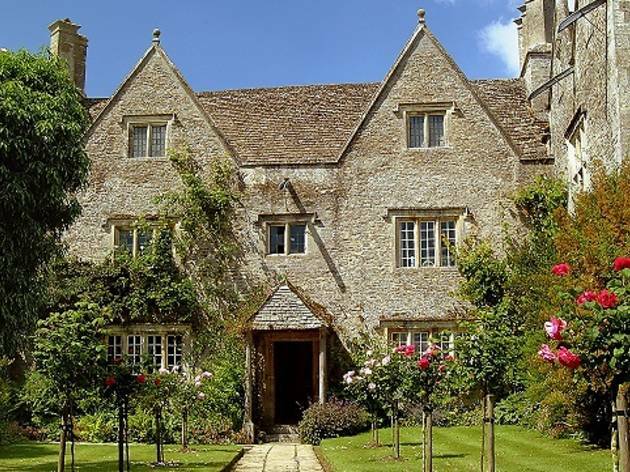 The Cotswold retreat of William Morris, and his friends and family. Why go? If it’s good enough for William Morris, it’s good enough for us. William Morris loved Kemscott Manor so much that after his death in 1896 his wife Jane purchased the house. His daughter May spent much of her adult life there, and the entire family are buried in the grounds of nearby St George’s Church. Morris drew inspiration from Kelmscott Manor for many of his most significant designs and writings. With its beautiful gardens, barns, meadow and stream, it’s not difficult to understand Morris’s attachment to the house, which is filled with furniture, original textiles, pictures and paintings, ceramics and metalwork. Fans of Morris’s distinctive textile designs will love the gift shop (pick up a cushion or throw) and there’s an onsite tearoom, too. A must for Pre-Raphaelite aficionados. Where is it? Nestled between Stow-on-the-Wold and Chipping Norton. What is it? 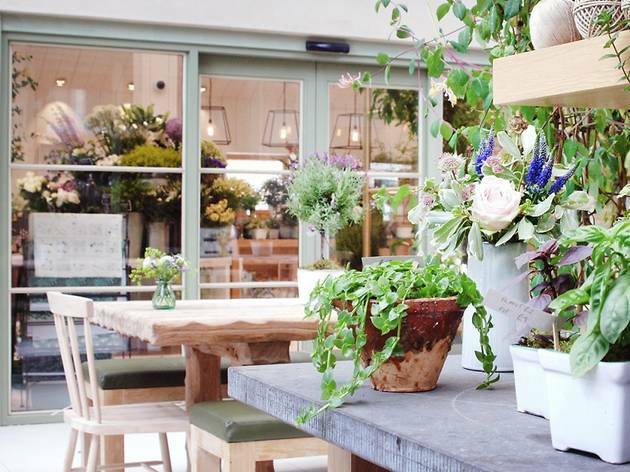 Daylesford is probably the most famous organic farm shop in Britain, and it all started in the Cotswolds. What is it? 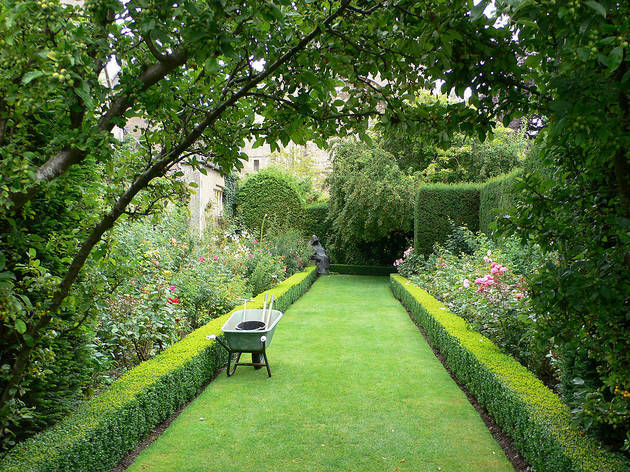 Abbey House is a privately owned country house garden in England’s oldest town – Malmesbury. Why go? Open daily from April through to September, Abbey House Gardens is one of the main attractions in Malmesbury – a town with Iron Age origins. A Grade I listed building, it was extensively renovated during Tudor times. However, public admission (£8) is to the gardens rather than the house itself. The owners are both keen gardeners and keen naturists, and they hold ‘Clothing Optional’ days throughout year. Check this before you go or you might see more than you bargained for in the grounds of Abbey House. Refreshments are provided at Coy Carp Cafe, named as such because diners can watch and feed a great number of the fish while enjoying a cup of tea. What is it? 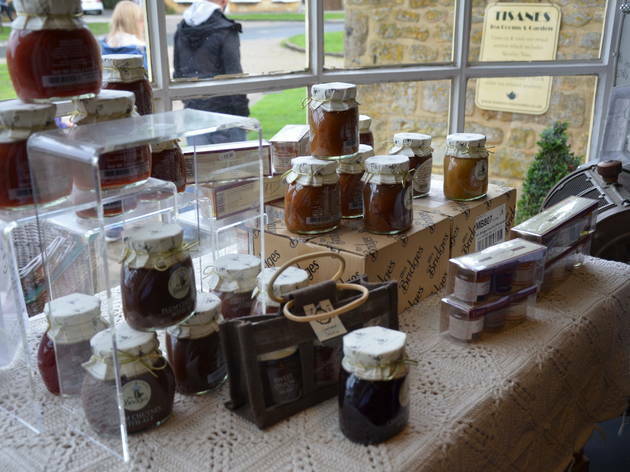 A fruit farm covering roughly 100 acres of glorious Cotswolds countryside. Why go? Hayles Fruit Farm has history, dating back to 1880 and kept in the same family since the 1950s. 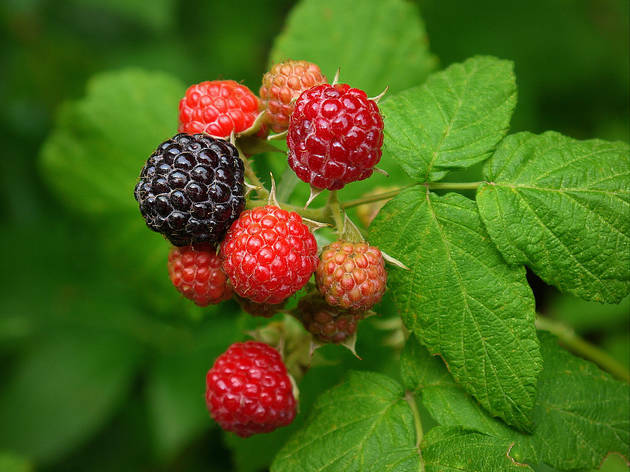 It started out growing apples and Cob nuts, and these things continue to thrive - but now the repertoire has increased to include pears, plums, strawberries, raspberries and gooseberries. Aside from being able to hit the PYO fields with a punnet, visitors can camp and fish onsite, and enjoy a (very) freshly sourced meal at their cute cafe. Try their homemade apple juicer and cider before leaving. Where is it? Chipping Norton. What is it? A super fancy pub with rooms and a lush menu. Why go? Just down the road from Daylesford is (also Bamford-owned) cosy inn The Wild Rabbit. Intended to be a sort of home from home, the rooms are luxuriously decked out, and the popular restaurant serves Daylesford-farmed produce. Roaring fires, Egyptian cotton bedlinen and an organic menu – it's the quintessential posh English pub. Where is it? Er, Whichford. What is it? A village and its surrounding area, which is home to a pottery workshop, salvage yard and loads of neat spirits. Why go? 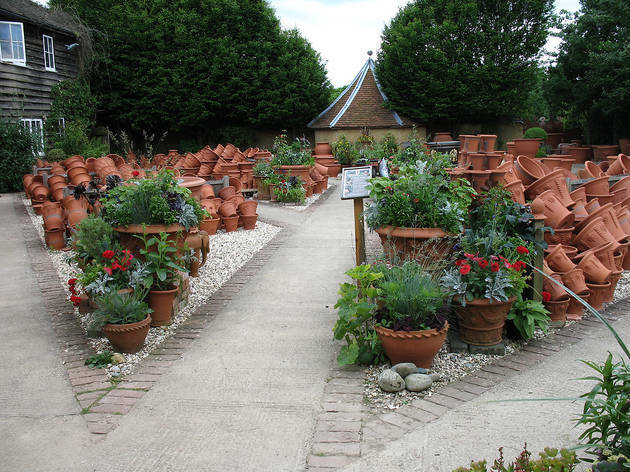 Head to family-run Whichford Pottery to see their cosy café and pick up a hand-thrown, frost-proof flower pot. If you fancy making a day of it, head a few minutes down the road to check out Cox’s Architectural Salvage Yard afterwards. Prepare yourself for bargain finds, like Belfast sinks, reclaimed floor boards and quirky reclaimed bathroom fittings. Round off with a trip to local Cotswolds Distillery for a tour, tasting or to pick up a bottle of gin, whisky or - if you dare - absinthe. What is it? One of the most well-known and important arboretums in the country. Why go? 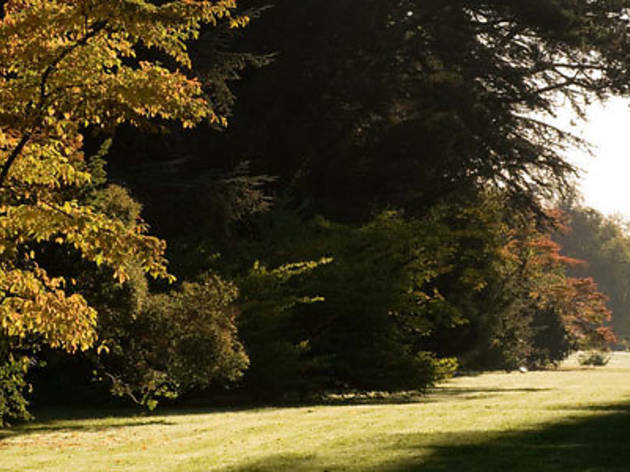 Just three miles from Tetbury, Westonbirt Arboretum forms part of a Grade I listed site on the register of Historic Parks and Gardens of special historic interest. Established in Victorian times, it actually backs right onto Prince Charles’s Highgrove Estate. Spread over 600 acres and with 18,000 trees and shrubs, it’s divided into ‘The Old Arboretum’ and ‘Silk Wood’. The latter is essentially traditional woodland, whereas The Old Arboretum is meticulously designed with stately avenues and rare and exotic trees. Beautiful in Spring, Summer, Autumn and Winter (an illuminated trail runs throughout the Old Arboretum every December), this is a year-round treat. Adult admission is £8. What is it? A traditional tearoom in a pretty 17th century stone building. Why go? Traditional English tearooms are few and far between these days, and this Cotswolds establishment will transport you straight back to the 1940s. The Broadway setting is as picturesque as one might expect, and the menu is comfortingly classic – and well-priced, too. Pick up a cured ham sandwich, a scone and jam and choose from an extensive array of over 30 different teas. While in the area, pop into The Gordon Russell Museum. Celebrating the work of the renowned furniture designer, the museum was opened in 2008 by Sir Terence Conran and is housed in the original Grade II listed drawing office and workshop. The shop stocks a tempting array of work by local craftsmen and women, including stylish home furnishings. Where is it? In the heart of the Cotswolds. What is it? Stow-on-the-Wold is a quintessentially English, historic town. Why go? With a reputation for having some of Britain’s best antique shops, Stow-on-the-Wold pretty much encompasses everything you might be after in a picture-perfect Cotswolds town. Small, cute and abundantly characterful, Stow-on-the-Wold was once known for its wool trade – its large Market Square once saw up to 20,000 sheep being sold at one time. 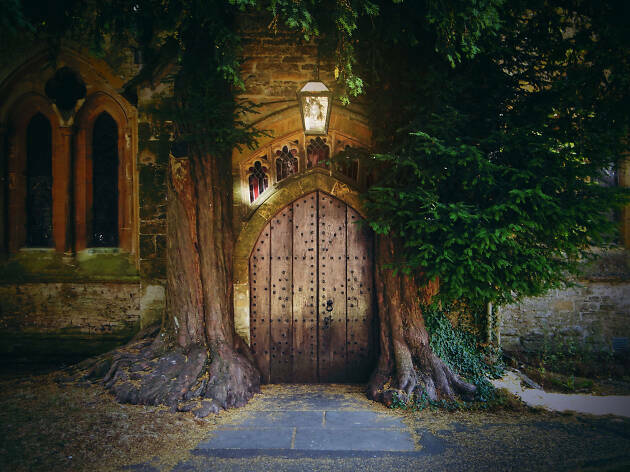 Check out St Edwards Church, famous largely for it’s gorgeous north door, which is flanked by two ancient yew trees. It’s not hard to believe the rumour that this Fairytale-esque feature inspired Tolkien’s ‘Doors of Durin’ in Lord of the Rings. With a surprising number of superb delis and restaurants for such a small town, The Old Butchers is the local favourite. As the name suggests, it’s a former butchers and now restaurant, serving meat and seafood in equal measure. Where is it? Great Tew, near Chipping Norton. What is it? Soho Farmhouse is a member’s club in 100 acres of scenic Oxfordshire countryside. Why go? Fortunately you don’t have to actually be a Soho House member to stay at this glorious farmhouse. 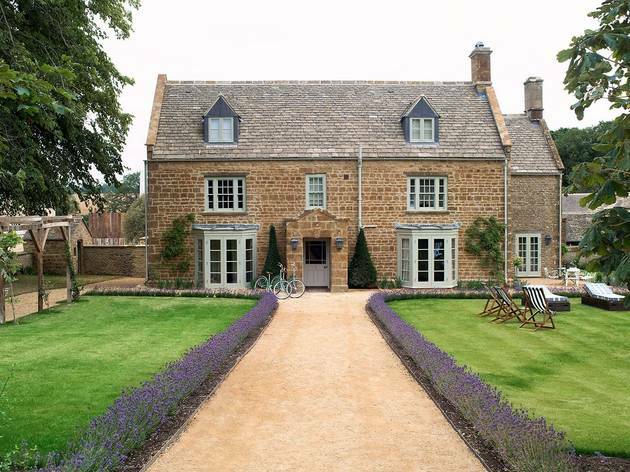 ‘Farmhouse’ probably gives the wrong idea – with a Cowshed spa, onsite country pub, boathouse (with indoor and outdoor pools on a lake), multiple restaurants, cookery school, farmshop, kitchen garden and cinema, this is more of a resort. Weather permitting, go horse riding, play tennis, or go rowing. If it’s raining, huddle up by the log fire in the main barn, with a stiff drink. The hotel accommodation ranges from studio cabins (complete with little wood burners and porches) to bell tents, or even an entire farm house. Where is it? East Gloucestershire. What is it? Cirencester is the largest town in the Cotswolds. Why go? Known to have been an important Roman settlement (it’s home to one of the largest amphitheatres in Britain), Cirencester is generally considered the Capital of the Cotswolds. 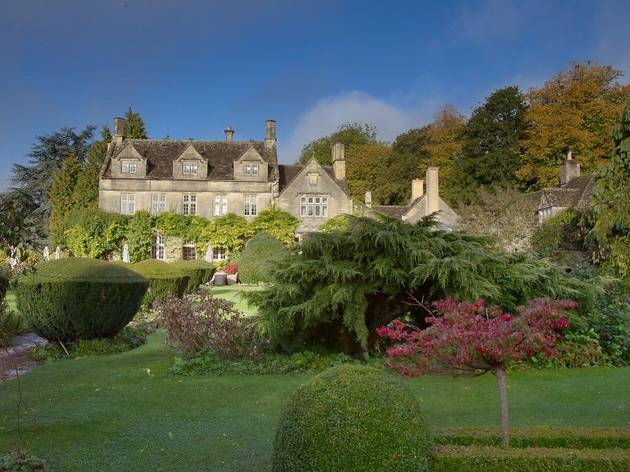 Plan a lavish retreat staying at beautiful Barnsley House. With a spa, private cinema and menu sourced from the hotel garden, there’s no real need to leave – still, you might be tempted to venture out to local Michelin-star restaurant Made by Bob. At the very least, check out their deli, which sells Made by Bob store cupboard products, as well as top quality baked breads, pastries, cakes, cheese and charcuterie. What is it? Bourton-on-the-Water is a large village lying within the Cotswolds Area of Outstanding Beauty. Why go? 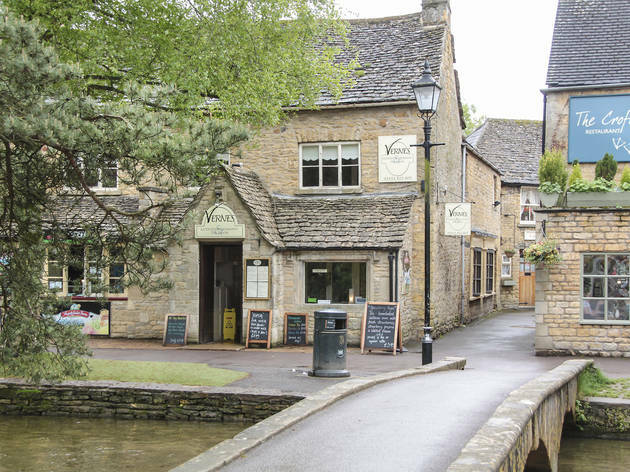 Often voted one of the prettiest villages in Britain, Bourton-on-the-Water is worth the detour to see its lovely high street which the River Windrush runs through. Little arched stone bridges run across the water, and in December a lit Christmas tree is erected in the middle of the river. Get those waterside selfies in and check out the nearby Dragonfly Maze (an elaborate hedge maze). Birdland Park and Gardens is down the road, for any penguin or parrot fans, and the village holds a cute farmer’s market on the fourth Sunday of each month. What is it? Possibly the prettiest village in the whole of England. Why go? 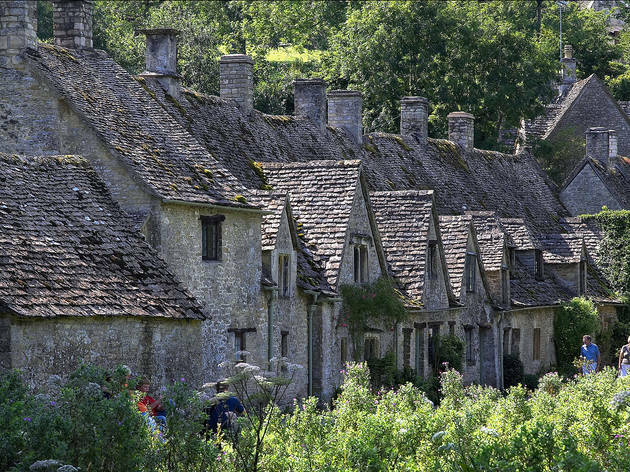 When visiting the Cotswolds, a trip to Arlington Row in Bibury is a must. William Morris described Bibury as ‘The most beautiful village in England’, and it is most definitely one of the most photographed. Built in the 14th century, this quaint row of stone cottages is as typically ‘Cotswolds’ as you can get.